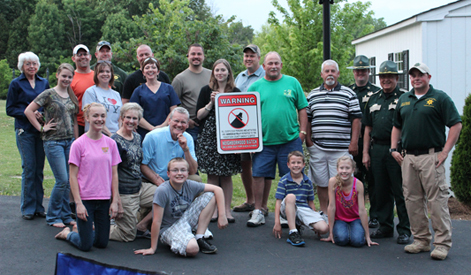 A Neighborhood Watch program is a group of people living in the same area who want to make their neighborhood safer by working together and in conjunction with local law enforcement to reduce crime and improve their quality of life. Neighborhood Watch (NW) groups have regular meetings to plan how they will accomplish their specific goals and leaders with assigned responsibilities. Neighborhood Watch is homeland security at the most local level. It is an opportunity to volunteer and work towards increasing the safety and security of our homes and our homeland. Neighborhood Watch empowers citizens and communities to become active in emergency preparedness, as well as the fight against crime and community disasters. A NW group may be organized by an existing neighborhood association, but the key element is its relationship with local law enforcement. Activities conducted by Neighborhood Watch groups across the country are as diverse and varied as their volunteers and the neighborhoods they represent. 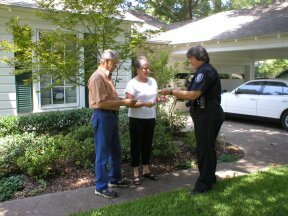 Some groups mobilize to patrol neighborhoods, other distribute crime prevention information, while business assessments or home security surveys are conducted by others. Where disorder problems are the primary focus of Neighborhood Watch members, volunteers mobilize and conduct neighborhood clean-ups, or work with faith-based organizations to assist with the homeless and mentally ill who wander the streets. As law enforcement officers learn the needs of their various Neighborhood Watch groups and the dynamics of their volunteers, they can tailor activities and responses to meet the ever-changing needs of their citizens. 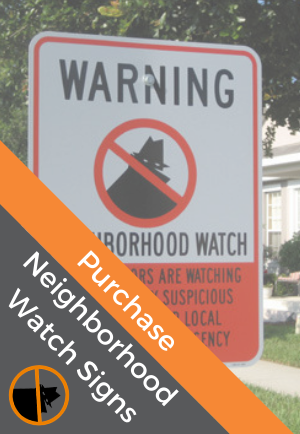 Neighborhood Watch is one of the oldest and best-known crime prevention concepts in North America. In the late 1960s, an increase in crime heightened the need for a crime prevention initiative focused on residential areas and involving local citizens. The National Sheriffs’ Association (NSA) responded, creating the National Neighborhood Watch Program in 1972, to assist citizens and law enforcement. In the aftermath of the September 11, 2001 terrorist attacks, strengthening and securing communities has become more critical than ever. Neighborhood Watch programs have responded to the challenge, expanding beyond their traditional crime prevention role to help neighborhoods focus on disaster preparedness, emergency response, and terrorism awareness.